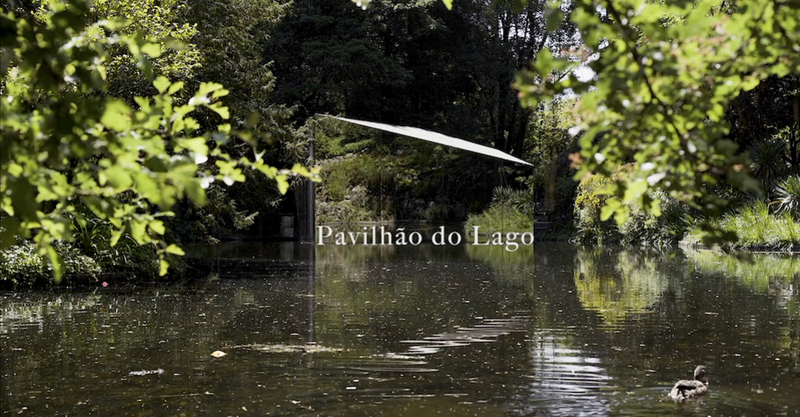 History of an architecture that wasn't there: "Lake Pavilion" is a short film created by Building Pictures for depA Architects, in occasion of the exhibition "Live Uncertainty: an exhibition after the 32nd Bienal de São Paulo" at Serralves Museum of Contemporary Art in Porto. Located on the banks of the lake of Serralves Park, the Pavilion was hosted between July of 2017 and May of 2018: here, for the second time, the Museum of Contemporary Art in Porto receives the Bienal de São Paulo, bringing a little bit of Brazil to Europe. Building Pictures comments the inspiration behind the short film, telling us that the Pavilion "made us think that we were entering in one of Brothers Grimm's landscapes, although this landscapes are not from Germany, but are Portuguese". Half Snow White's "mirror mirror on the wall", half the "Ugly Duckling" (which, actually, was written by Andersen), the magical side of the film is given by the mirrored materiality of the pavilion, which eliminates the barriers between architecture and nature. The dreamy, tale-like vibe is maintained in the film, even in its brevity: the sounds of nature, the warm light, the animals, all bring us inside an ancient myth. Is there something in the lake? Is it a wall or is it a forest? The reflecting pavilion is deceived by its very materials, as far as that it's difficult to trace where nature begins and architecture ends. The temporary building either seems too light or too tiny in the water, like a floating little thing that will carried away, while it tries to camouflage itself through the foliage. Meanwhile the ducks swim all around it, making big circles around its structure, confusing the visitors… and even themselves (at the end of the film, the duck is confused with its own reflection). But a pavilion as an outside as well as an inside: visitors are invited to get close and to enter inside: here is visible an excerpt of the film "O Peixe" by Jonathas de Andrade, which is screened inside in loop. Visitors will eventually get out of the building from another door, making a circular route around the space, so to be allowed to see all the facades of this polyhedral building. About its peculiar structure, depA says "the pavilion's design establishes an indirect relationship with the Museum building […] is a polygon extracted from the Museum's layout, corresponding to one of its characteristic spaces — the bow window — whose classic hexagonal matrix is repeated and emerges at various times throughout the Park, both in the pavements and the landscape features". Lake Pavilion won the FAD prize, in the category of ephemeral interventions.